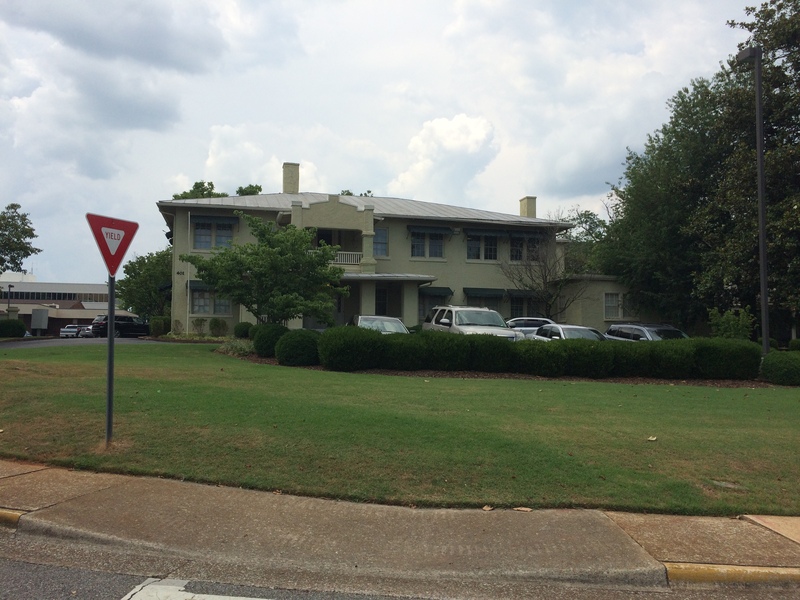 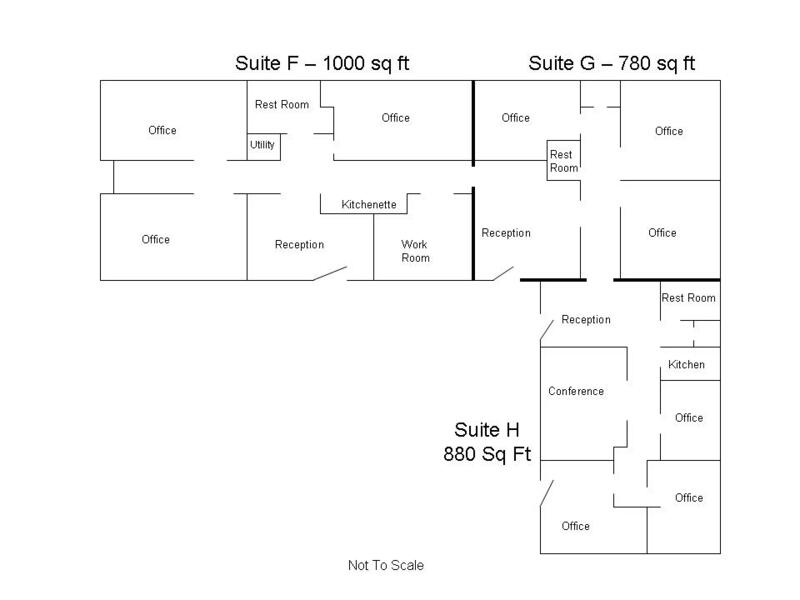 SUITE D – Office suite available in Downtown Huntsville. 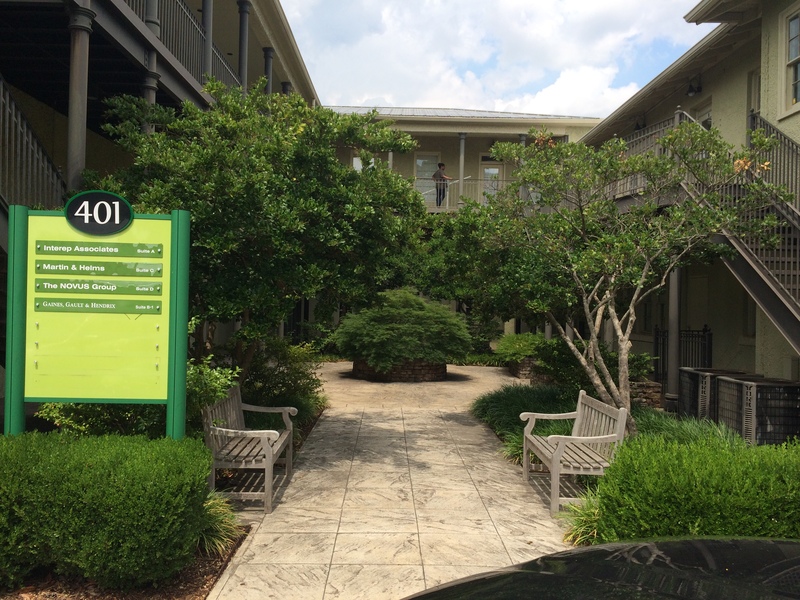 Approximately 800 square feet, first floor suite, with utilities and parking included. 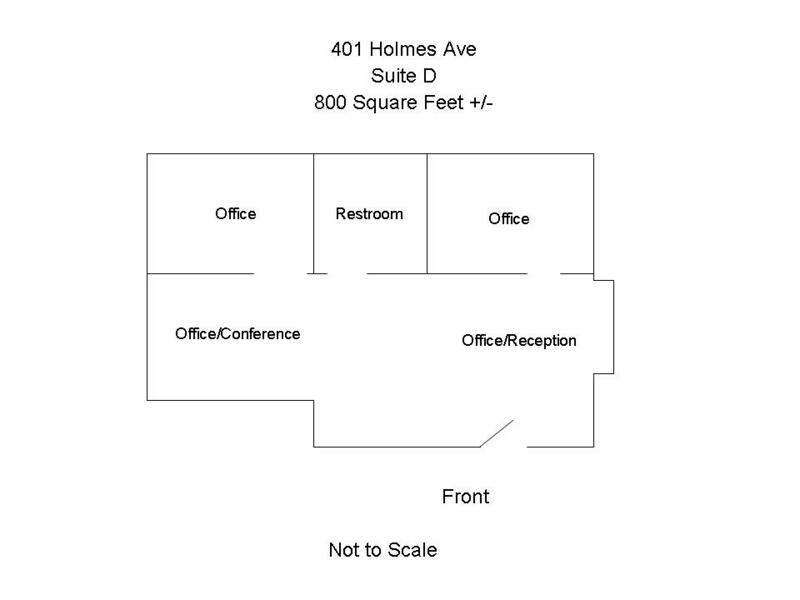 Suite includes two private offices and a restroom plus large ope space suitable for additional office or conference space.